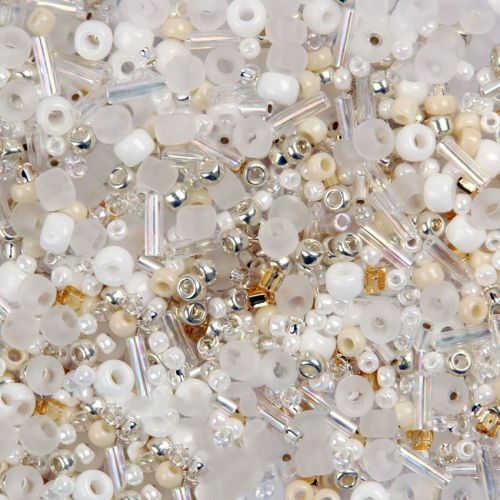 There is a bridal feel to this fabulous 'Wonderful White' seed bead mix. The mix contains rounds, bugles and triangles in various sizes. The colours of the beads are white with a few that are gold and yellow. Some have a rainbow finish whilst others are shiny or frosted transparent. 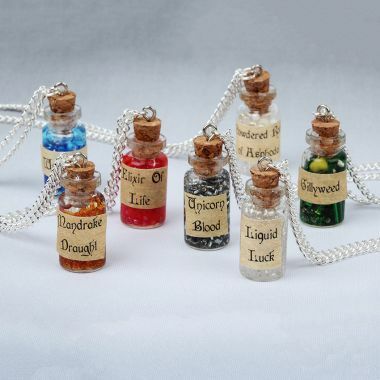 Note that as this is a mix the colours, sizes and style of beads may vary. CommentVery pretty beads - will order more. CommentThey were all really tiny, but I am managing to use than. It is actually a really nice mix. CommentLovely selection, can't wait to try it out. 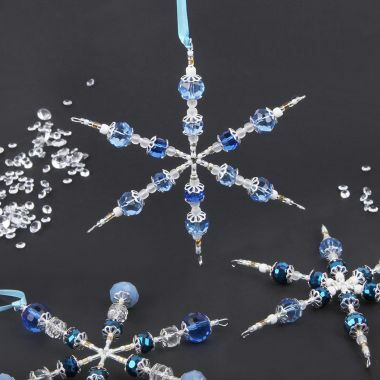 CommentThese are excellent and used for small beaded snowflakes , combined with my other understudy look great. CommentMy favourite mix. Used on fabric snow scenes , seascapes and special greetings cards. CommentGreat product thank you, as described.